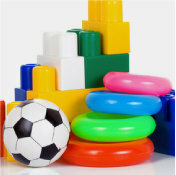 With a source of moisture and humidity, even plastic objects can be a breeding ground for mold and mildew. From children’s toys and outdoor furniture to plastic shower curtains, Concrobium Mold Control is the safe and effective way to kill and prevent mold in your home without the use of any bleach or harmful chemicals. Using a spray bottle, apply a thin, even application of Concrobium Mold Control to the moldy surface. Allow to dry completely – Concrobium kills the mold as it dries. Clean the moldy surface with a Concrobium dampened cloth or brush – scrub as required. 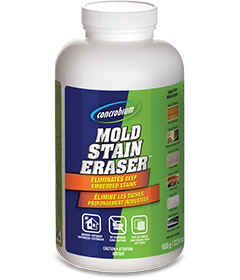 For deep embedded stains, such as black mold stains, try Concrobium Mold Stain Eraser to remove mold and mildew stains with no bleach, and no scrubbing. Re-apply a thin, even application of the product on the surface to provide future mold resistance. NOTE: For objects and areas that are exposed to frequent dousing of water, re-apply Concrobium every 2-3 months or when required to ensure the preventative mold barrier remains intact. For outdoor plastic surfaces, be sure to eliminate accumulated water and wipe off any remaining moisture build up. This will help to control the breeding environment for mold and prevent future growth.